IC has recently signed the DORA declaration. Intangible Capital has been included in NPI (Norwegian Publication Indicator), NSD (Norwegian Centre for Research Data). VII Congrés Català de Comptabilitat i Direcció, organized by ACCID, will be held on June 8 and 9, 2017 in the IESE Business School (Barcelona). From 2017-01-01, papers accepted for publication in Intangible Capital must be translated into English. Optionally, the paper can be published in both languages (English and the original language) for an extra cost of EUR 75 per paper. 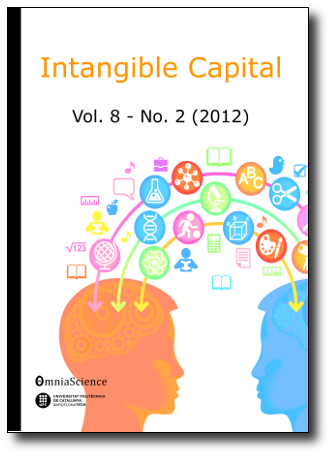 Intangible Capital is the 9th journal filtered by country (Spain) in the Business, Economics and Management area, the 28th journal in the Education area and in the 72th position filtered by country (Spain) in the ranking Journal Scholar Metrics elaborated by the EC3 Research Group. Intangible Capital has renewed its website. Additionally, from now on all the papers will be published in pdf and html format. Also the papers include the ORCID link of the authors. Intangible Capital has been approved for inclusion in REDIB.